Directed by Trey Parker. With Trey Parker, Matt Stone, Elle Russ, Kristen Miller. 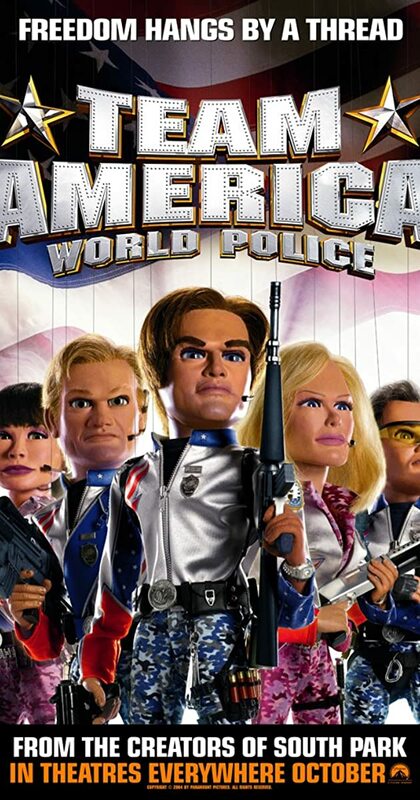 Popular Broadway actor Gary Johnston is recruited by the elite counter-terrorism organization Team America: World Police. As the world begins to crumble around him, he must battle with terrorists, celebrities and falling in love.